While the Detroit Red Wing and the Toronto Maple Leafs concluded their exhibition game schedule Saturday night in Toronto, more than 1,300 hockey enthusiasts took to the streets surrounding Toronto’s historic Ontario Place park to participate in the third annual Road Hockey to Conquer Cancer (RHCC) tournament. The daylong tournament is the largest road hockey fundraising event of its kind and from dawn-to-dusk, over 1,300 participants – creating 130 teams - played a series of five 30 minute games all in support of cancer research. A team of NHLPA staff members and some welcomed supporters laced up their running shoes and grabbed a stick to show their support for hockey’s toughest fight, the fight against cancer. The emotional day brought more than 60 celebrities out to participate, either on individual teams or in the special celebrity game against the top individual fundraisers. Dozens of former NHLPA members attended the outstanding event, including Toronto Maple Leafs greats Darryl Sittler, and Johnny Bower, along with fan favorites Gary Roberts and Tie Domi. 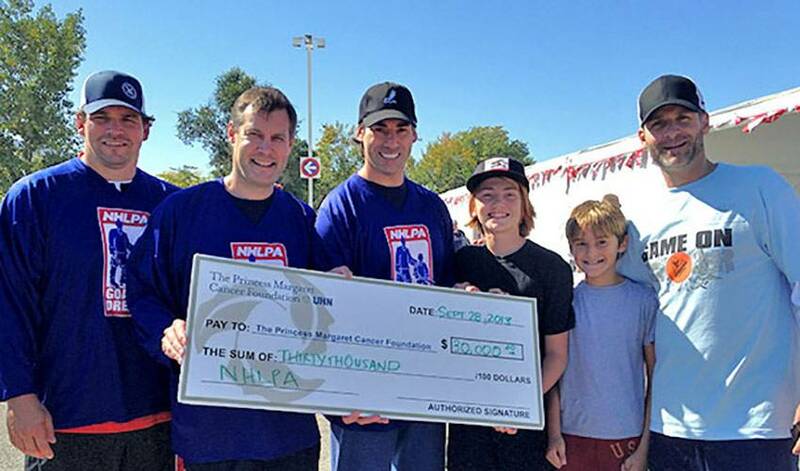 In partnership with the NHL through the Hockey Fights Cancer joint initiative, the NHLPA donated more than $30,000 to the tournament, which benefits The Princess Margaret Hospital – one of the top five cancer research centres in the world. In total, over $2.3 million was raised by the enthusiastic crowd and corporate sponsors. In the past three years, RHCC has raised seven million dollars, with over two million of that amount being raised this year alone. If you’d like to donate for the year 2014, please visit Team Up To Conquer Cancer.